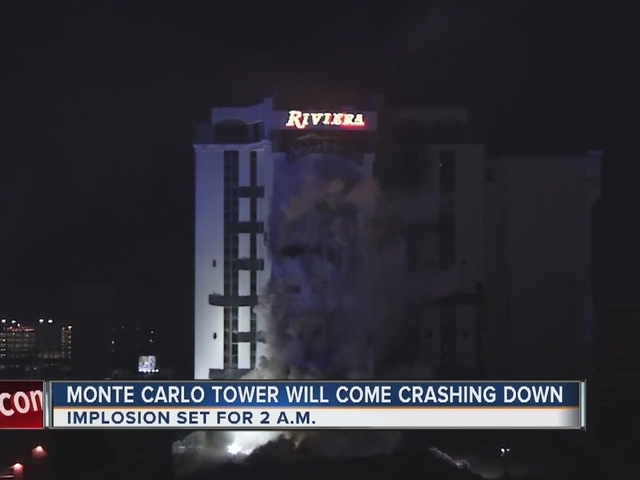 It comes two months after the Monaco tower was imploded. 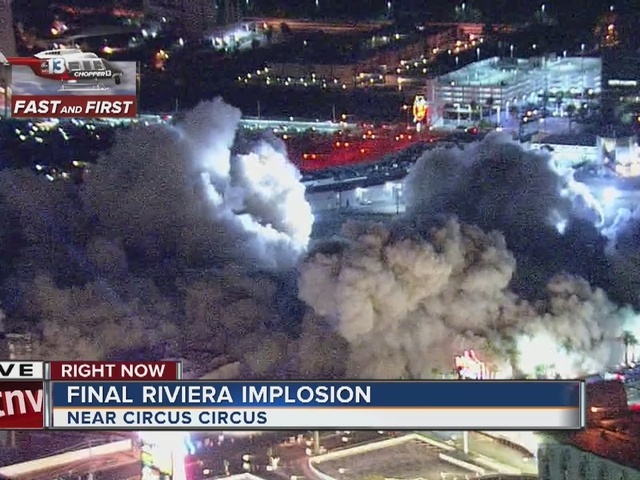 The last of the Riviera hotel-casino on the Las Vegas Strip was imploded early Tuesday morning. Las Vegas-based KTNV was there on the ground and in the air to catch the event. However, there are no festivities for the Monte Carlo tower, which happens to be older than the Monaco. The Monaco tower came down with a bang and tons of fanfare and fireworks in June. 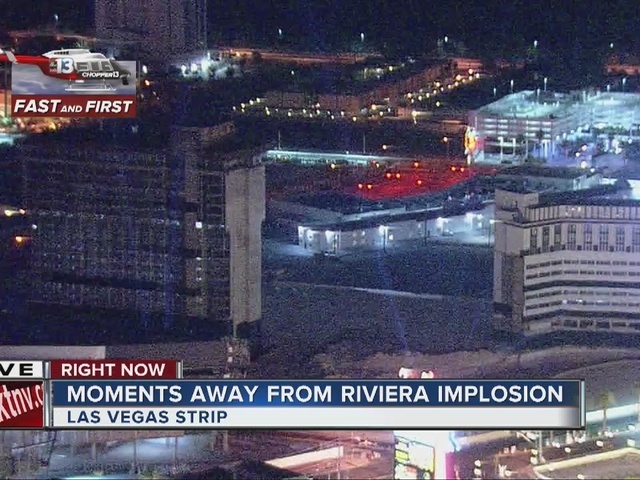 But with the final implosion, the Riviera that was home to some of the biggest entertainers in Las Vegas history, including Liberace and Frank Sinatra, was wiped off the map. It will not be wiped from people's memories. Many remember the Riv as the original Las Vegas resort and the first high-rise hotel on the Strip. The Riviera's legacy will live on as it was captured in the original "Ocean's Eleven," "Casino" and other films throughout its 61-year history.